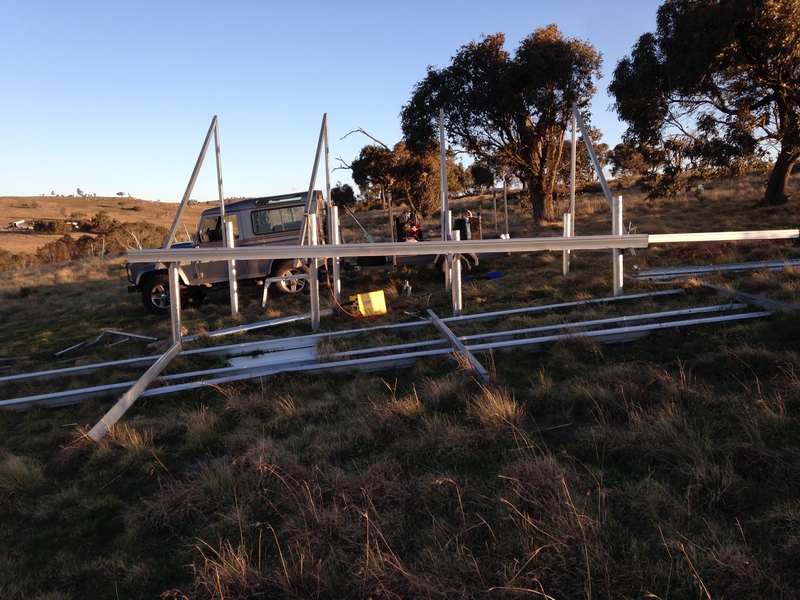 Well after a week of welding I finished the 4 frames for the new solar array only to discover I could barely lift them let alone carry them to where they needed to be – design flaw I might make them out of alloy next time. 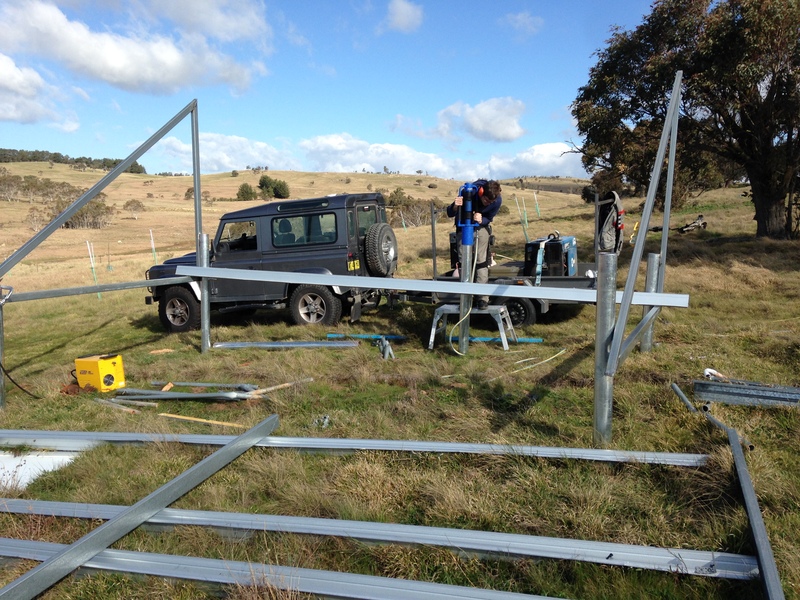 Luckily Lachlan came to the rescue and half a day of post ramming and welding later the frame is up. It needs a bit more welding and trimming of steel but all the heavy stuff is done. All the posts are rammed in with my air driven post rammer as far as they will go, half are more than 1200mm in and the rest between 600 to 700mm. One post is not in line as there was a big rock in the way. 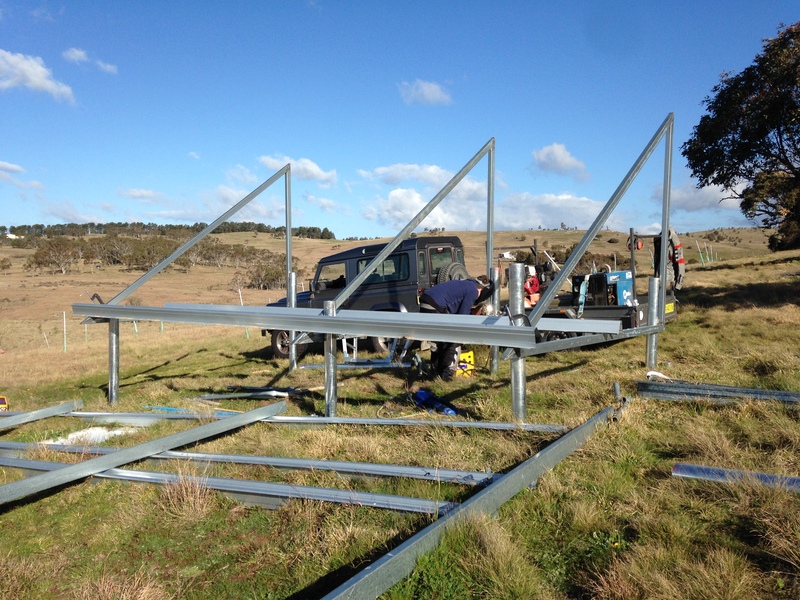 This frame is much beefier, further in the ground, has a wider foot print, lower angle (35 Deg) and will only have 10 panels per frame (2500Kw) and will therefore stay where it is supposed to. 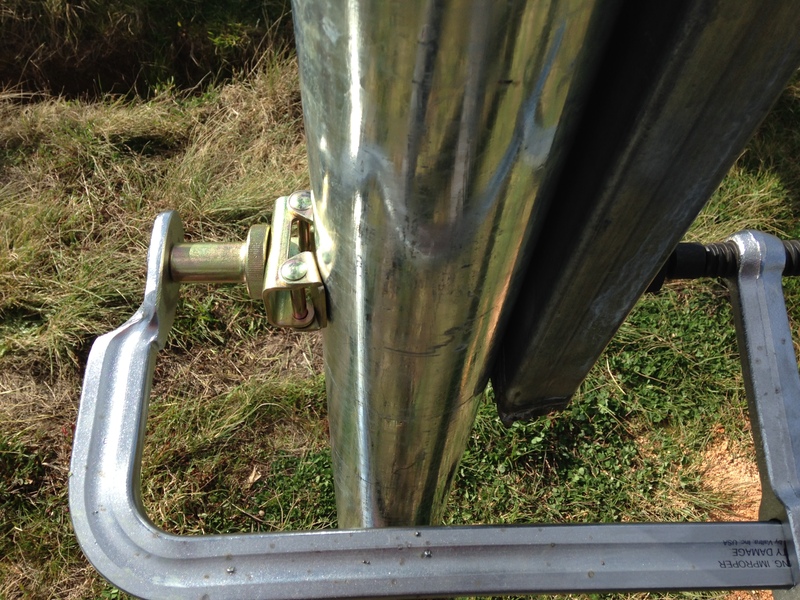 The trick with welding a large heavy RHS frame to a pipe is holding it without it slipping. How do you do it? With a new tool of course. In this case a Strong Hand 4 in 1 F clamp. I really rate this stuff. It has jaws to grip round section which can be removed to make it a standard F clamp. 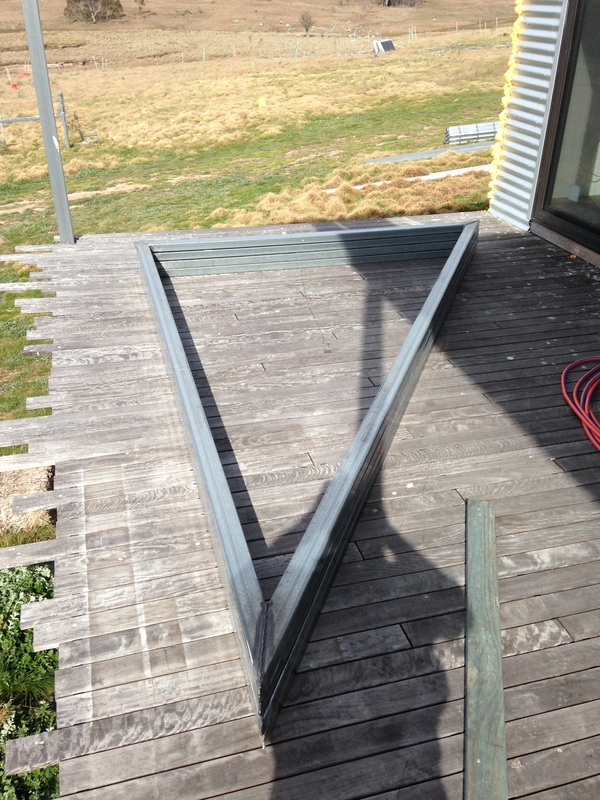 Worked a treat and did not let go even when to frame was bashed with a sledge. All the same size, who would have thought. 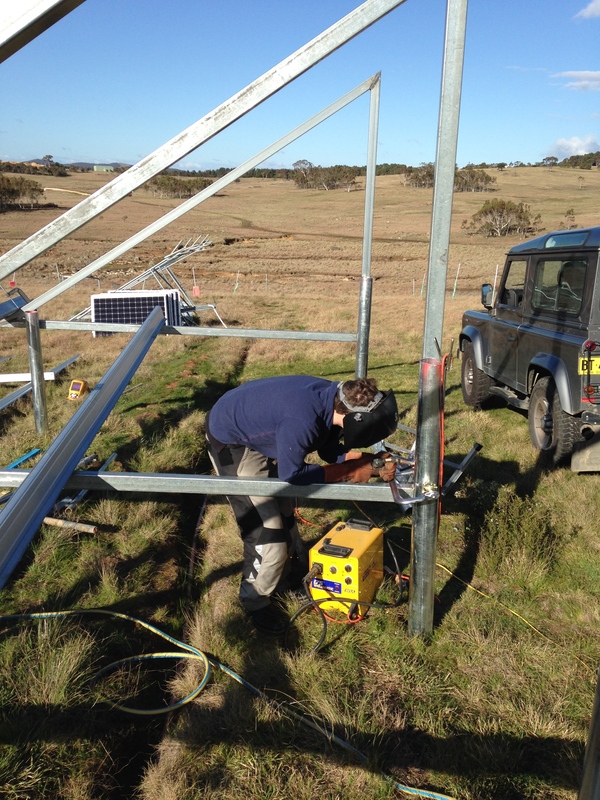 This entry was posted in Cool Tools, House and tagged Solar Power, Strong Hand Tools. Bookmark the permalink. That is a beautiful thing. 2nd pic is fabulous. love how the tops are in line, and you know that I know that you know what I mean. Will be back last week of OCtober. Why thank you. 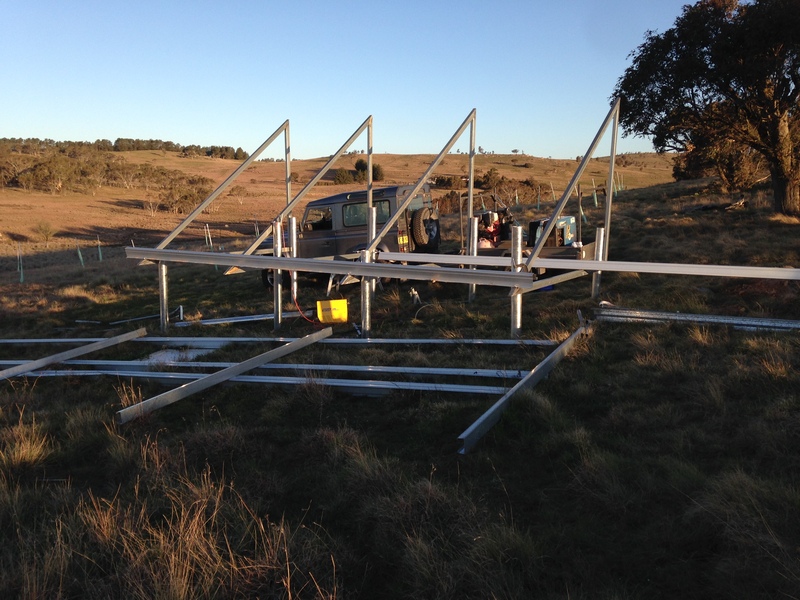 It is much more stable it was blowing 25kph when we put it up. Lach nearly fell off the trestle in a gust. Very nice!!! Looks like really high quality work. Don’t forget to show what the end result looks like. Thank you. 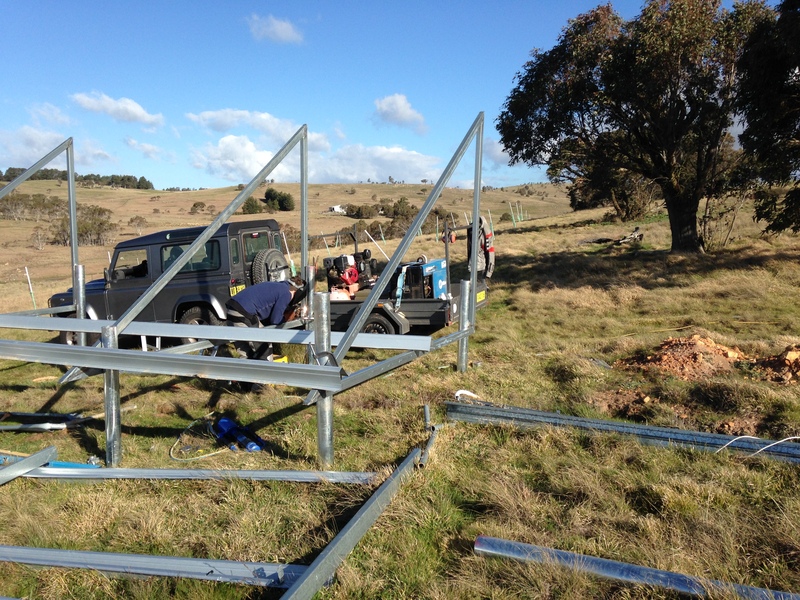 I have 10Kw of panels in total so 3 more arrays to go.